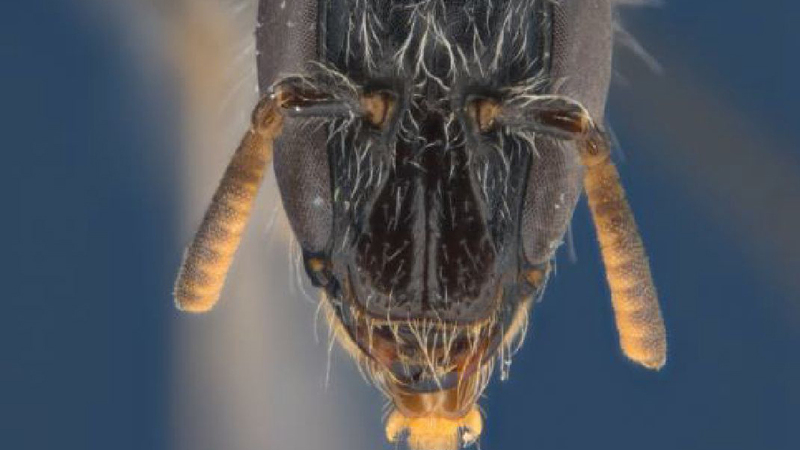 Four new native bee species were recognised as part of the largest Australian nature discovery project, called ‘Bush Blitz‘. The South Australian bee specialists used molecular and morphological evidence to prove them as new. Three of the species had narrow heads and long mouth parts – adaptations to foraging on flowers of emu-bushes, which have narrow constrictions at the base. The new species are described in the open access journal ZooKeys. Bees are important pollinators of crops and native plants, but habitat loss and pesticides are proved to be causing a serious decline in their populations in Europe and the United States of America. Meanwhile, the conservation status of native Australian bees is largely unknown because solid baseline data are unavailable and about one third of the species are as yet unknown to science. Furthermore, identification of Australian bees is hampered by a lack of keys for about half of the named species. With their present publication, bee specialists Katja Hogendoorn (University of Adelaide), Remko Leijs and Mark Stevens (South Australian Museum) are now trying to make Australian native bees more accessible to the scientific community. The study introduces a new Barcoding of Life project, ‘AUSBS‘, which will be built to contain the barcode sequences of the identified Australian native bees. In future, this database can help scientists who have molecular tools, but insufficient knowledge of bees, to identify known species. Yet, that is not the only use of the database. “Bee taxonomists can access and use the molecular information to answer specific problems, for example, how certain species are related or whether or not a male and female belong to the same species”, says Dr. Hogendoorn. “And combined with morphological information, the molecular database can help to identify new species”, she adds. In their publication, the researchers demonstrate the utility of the database. After careful evaluation of the DNA sequence data and subsequent morphological comparison of the collected bees to museum type specimens, they recognised four new species in the genusEuhesma, which they subsequently described. Three of the species belong to the group of bees that specialise on the flowers of emu-bushes. These bees have evolved narrow faces and very long mouth parts to collect the nectar through a narrow constriction at the base of the flowers. A similar evolution has been already observed in other groups of bees. The fourth species belongs to a different group within this large genus and has a normally shaped head. So far, the project includes 271 sequences of 120 species that were collected during the Bush Blitz surveys, Australia’s largest nature discovery project. The researchers intend to build on the existing DNA database to cover as many as possible of the Australian species. “It is hoped that this will stimulate native bee research”, says Dr. Hogendoorn. “With about 750 Australian bee species still undescribed and many groups in need of revision there is an enormous job to do”, she concludes.